Pant Suit by Rozae — The pant suit looking completely new with the chic tailoring of Rozae Nichols and the cool details that make it unlike the rest. 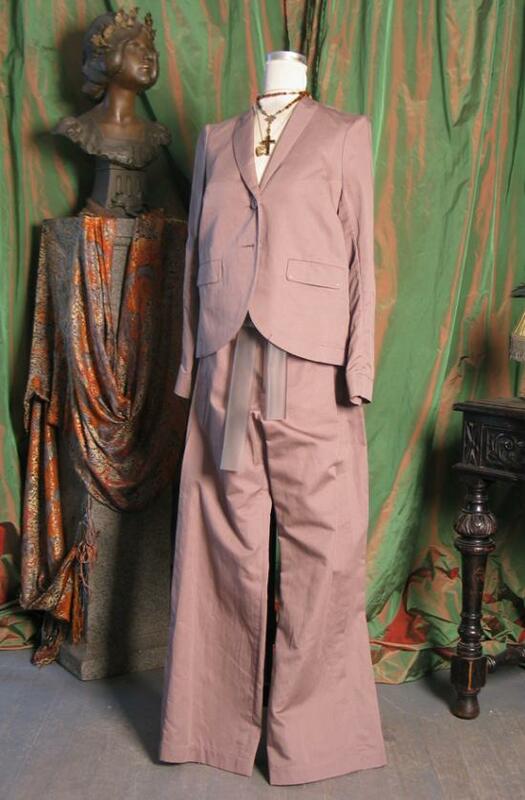 Cool and crisp jacket, wide leg trouser with wonderful rubberized tie..add a white cami and you are dressed for work! This is tagged at $698 and we are selling the last ones for $198 so grab it fast. One each in size S, M and L.